Samsung just released two very exclusive version of there blockbuster Samsung Galaxy S II. There are many things common in these two variants. Most of all, they are white. I think this info is enough to make you mad for these babies. The Samsung Galaxy S II HD LTE comes in all of its 4.65" Super AMOLED 1280x720 glory with a dual-core 1.5 GHz and, naturally LTE connectivity speeds. 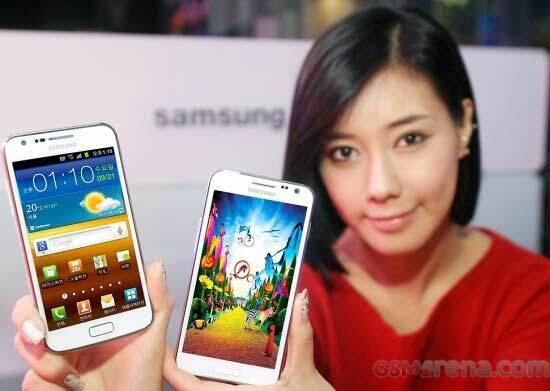 The Galaxy S II LTE has a 4.5" 480x800 display, which is about the only difference between the two. They should both be available on SK Telecom as previously told but on HSDPA and LTE, sans the CDMA. I am really looking forward to see these phones outside South Korea in near future. Christmas is a great time but i fear that’s not gonna happen!